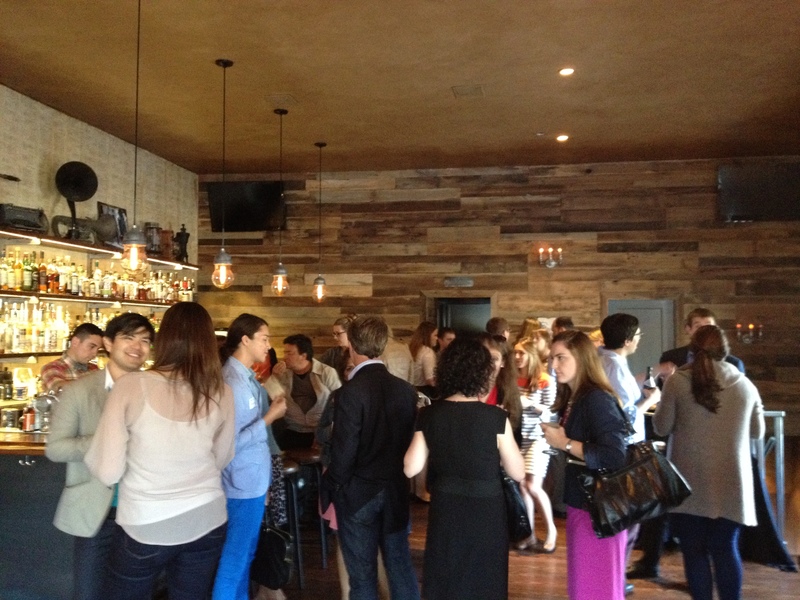 Last Thursday, we hosted about 75 Bay Area PR pros at PRSA’s monthly mixer in San Francisco at The Office, Churchill’s private bar – big thanks to all who came out to mix and mingle with us! In putting together the event, we were struck by how much the key considerations aligned with what we take into account when planning media or consumer events for clients. Ultimately, there are certain factors that contribute to making an event of any type successful and memorable, so we thought we’d take this opportunity to pull back the curtain a bit and share some inside scoop. The first step in planning an event is to determine what kind of vibe you’re going for and make sure every subsequent selection falls in line with that. For us, we’re not stuffy hotel ballroom people. We wanted folks to walk away with a sense of what our culture is like – so we picked a place we’d want to hang at if we were doing a SHIFT happy hour. It was a private space with the right mix of standing and seating options and a cozy, hipster feel. The SHIFT team even brought in some extra fun with a shuffleboard table! Is your venue centrally located? Nothing kills your turnout more than picking a spot that’s too far off the beaten path. If you want to break outside the neighborhood norm (as we did here – branching beyond the FiDi to shake it up a bit), be sure to pick a spot that’s easy to get to via public transportation and has abundant parking. Keep these golden rules in mind next time you dive into planning an event for any type of crowd to up your game and increase your event’s success factor! We’re sneaking up on the deadline to vote for the speakers and panels you want to see at next year’s SXSW Conference and Festival. As you may know, the always highly anticipated event, which takes place March 8-17, 2013, is made up of music, film and interactive presentations from the top creative and innovative individuals and brands in the world. There were approximately 3,200 speaking proposals submitted for the 2013 SXSW Interactive Festival (more than ever before). If you’re not sure where to start, we’ve pulled together 10 suggested individual and panel presentations featuring some of our clients here at SHIFT. Disclosure: A few of these panels were submitted on behalf of the SHIFT team. If you like what you see, feel free to show some love and vote! PanelPicker voting closes September 4. Eloqua (panel): How do you measure the immeasurable? How do you quantify creative? A panel made up of speakers from Eloqua, Intel, TheNextWeb and Sevans Strategy will answer these questions for those social media and PR pros out there. How Do You Measure ‘Brand’? PacketVideo (core conversation): Led by Jerome Rota, who manages PacketVideo’s suite of consumer products (including myTwonky), this conversation will offer a platform for attendees to discuss how today’s technologies and social networks are fueling “social curation.” Web Content: Discover. Collect. Share. What Next? The Story: In 2010, BP’s drilling on the Gulf Coast led to an explosion of a sea-floor oil gusher, destroying the area’s ecosystem and economy as well as dealing a crushing blow to the company’s reputation that they’re still working to repair. As we all know, the spill flowed unabated for three months, all of it caught on camera. What also followed the initial explosion was public outcry and hatred aimed at BP. Celebs, environmentalists and every day people publicly blamed BP for the disaster. PR Factor: In an attempt to turn this PR disaster around, BP has since given $20 billion to compensate victims and clean up. Yet despite its best efforts, the public perception of BP is permanently and irrevocably marred, in much part due to the constant stream of televised news and attacks aimed at the company, whose stocks plummeted. The Story: Most of us can probably remember the original commercials for iPods. I was so excited to buy my first edition model and recall iPods becoming a status symbol amongst my friends. At the time, no one knew the giant that “iEverything” would become. It’s rare to meet someone who doesn’t have an iPad, iPhone or iPod (or all three!) these days and the buzz for every new Apple product spurs lines out their doors. PR Factor: Besides capitalizing on the cool factor of being the first and possibly the best to market, through top-tier media coverage Apple continues pioneering new developments that they strategically “leak” information on to create PR hype. They reach consumers (particularly early adopters and tech-savvy customers) via televised reviews and exciting, fun ads, helping earn Apple ranking as one of the most buzzed about companies in existence. PR Factor: This turned into a PR disaster when the truth about the affair came out, because Americans felt his lie, broadcast across the nation, reached them directly. Cries for impeachment rang out and despite positive and negative opinions on Clinton’s political decisions, the remainder of his career was marked by the public denial of his indiscretion. The Story: We’ve seen that a bad interview or debate can crush a politician’s ratings and votes. But the one that stands out for resoundingly smashing someone’s career is Katie Couric’s interview of Vice Presidential Candidate Sarah Palin during the 2008 election. PR Factor: In plain terms, this interview was a PR pros absolute nightmare. All the research, preparation and practice shot straight out the window the moment Sarah Palin began the interview. President Barack Obama and Joe Biden must have been high fiving during this televised discussion as Sarah Palin showed that she was naïve to matters of governmental history and public affairs. And you know you have royally screwed up when SNL makes an awesomely bad skit of the interview. The Story: The Japanese tsunami, Brisbane floods, Haiti Earthquake and Hurricane Katrina are among recent natural disasters that rank most publicly covered in the news. TV stations in the US and abroad broadcast shocking images and video of each of these disasters and their victims. PR Factor: While the events were devastating, viewer response was tremendously positive. Hundreds of charities, thousands of volunteers and millions of dollars of donations poured in as direct response to the news coverage. The impact of mobilized help efforts on these disasters show that TV, while criticized for making people lazy, can also be a powerful motivator for change. Overall learnings from reviewing these moments in TV history? Honesty, transparency and knowledge are key to successful reputation management, especially when it comes to what’s in the public eye. Whether you love or hate TV, there’s no denying that it forms and shapes public opinion and action and can lead to overwhelming PR success or disaster for people and companies featured. Last Thursday, I attended the Wonder Women of Boston event with some wonderful SHIFT ladies; Jena Rossi, Kim Diesel, Kristina Scuoteguazza and Liz Segran. 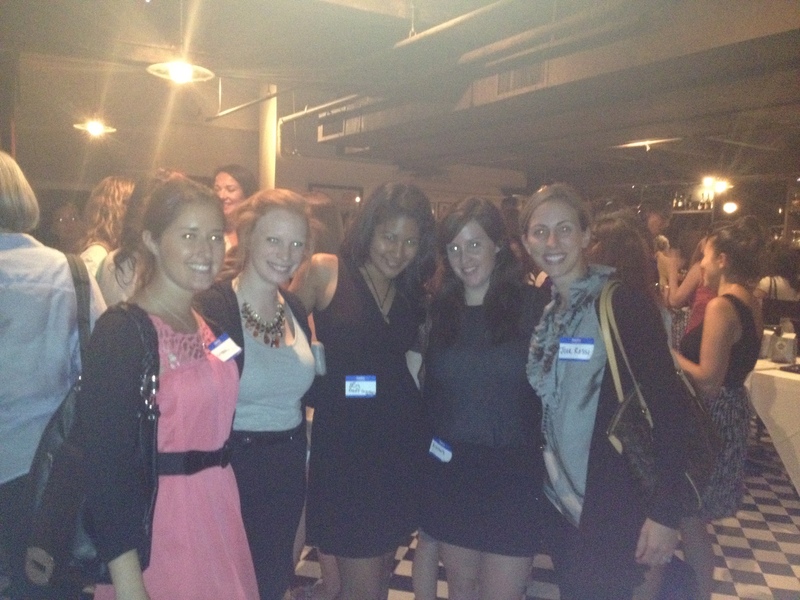 Taking place at the Back Bay Social Club, the event brought together Boston women of all ages, in an array of industries. It was a great turnout, and event attendees were able to mingle and network with other impressive women from around the area. The purpose of this event was to meet amazing business women from the Boston area and make connections within various industries and fields. Women in Boston are impressive. Every woman we spoke to was ambitious, successful and driven. There are some truly amazing people and organizations in Boston, and who knows, they might even be looking for PR support some day. Lack of food! This event started at 6:00p.m. and the few appetizers that were served were devoured almost immediately by us hungry working women. Women of all ages were in attendance at this event – from students, to young professionals, to well-established business women. Back Bay Social Club is a restaurant located on Boylston Street in Boston. The event took place in its lower level function room. The SHIFT team met several interesting women at the event last night and looks forward to connecting with them again soon. Maybe even scope out a few future SHIFT interns from the collection of students that were in attendance! Would you attend this event again? Yes, we would attend this event again. Todd couldn’t have said it better. SHIFT Communications has just been acquired by… its employees. By me. By my coworkers. We are all business owners and are sharing in a slice of SHIFT. The ESOP (Employee Stock Ownership Program) was announced this morning and it proves that SHIFT will always be pushing the boundaries of traditional agency life. SHIFT continues to prove that, at the core, it’s an agency that values all of its employees – not just the senior management team. And that fact alone truly makes SHIFT a unique place to work. It is this values-based attitude that makes employees proud to be a part of the SHIFT family and we could not be more excited for this new chapter in the Company’s history. THANK YOU Jim and Todd – we couldn’t be happier to be in business with you both. This is especially true in the field of public relations. Simply put, networking truly is invaluable. Just how important is networking for us PR folk? I asked director at large for the SF Public Relations Society of America’s (PRSA) and diversity chair for the New Pros section, Carolina Madrid and here’s what she had to say. 1. What value have you seen through networking (specifically in PR)? PR is all about networking. Whether it’s for your own professional development or on behalf of your company or client, connecting with people on personal levels paves the path for work relationships that flourish in a way that’s critical to the PR industry. 2. Have you found that networking has helped with recruitment to bring in top talent? Of course. I have never personally worked in recruitment but have seen talent acquisition – especially for more senior positions – happen through organic conversations more often than I’ve seen it happen through cover letters and resumes. During a networking conversation, you are your own resume and cover letter and nothing conveys your professional competence better than yourself. 3. 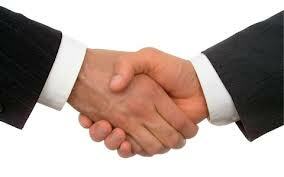 Were you introduced to new job opportunities through networking? Absolutely – it’s how I got my current job! To trace the opportunity to its original root, it was college friends from PRSSA that helped secure the position I now hold. Had I not networked at PRSSA events, I wouldn’t know them today nor had their recommendation for my post. Similarly, I have also helped friends land internships or jobs through strong endorsements or encouraging them to attend events where “so and so” would be present. 4. What would you say are the top 3 benefits to networking? 3) The opportunity to make long-lasting friendships – you’re naturally inclined to befriend those with similar interests. 6. What advice would you give someone who is just starting a career in PR? Focus on how you can help others: It will always – hands down – get you farther than focusing on how you can benefit from them. Read, read, read: Read the news, read books, read the back of your shampoo bottle. This will not only keep you abreast of current affairs but improve your writing, which is critical in our field. Don’t be so afraid of failure: You learn most from mistakes and sticky situations that you’re forced to maneuver out of, so embrace that awkward feeling when you mess up and know that when it’s over, you’ve added one more lesson to your portfolio. 7. Is there anything else you’d like to share about networking and its importance in our field? Networking shouldn’t be looked at as something that is done specifically at a professional mixer or conference. You should always be networking and that’s not to say that you should always be selling yourself but rather always trying to establish genuine, kind, friendly relationships with others – even if it’s at a gas station! You never know when you’ll come a valuable connection. And lastly, networking should be fun! Carolina is a PR professional working in corporate practice. She has been involved with PRSA since January 2011, after graduating from college and jumping into the San Francisco PR scene. She was previously involved with the Public Relations Student Society of America (PRSSA) at Arizona State University, where she attended two national PRSSA conferences and held the Treasurer position. She became involved with both the student and professional organizations because she recognized the value of being part of an organization devoted to furthering her own profession as well as the industry as a whole. She is now director at large for the San Francisco PRSA chapter as well as the diversity chair for the new professionals section of SF PRSA.